www.tealswanexposed.com Examining, questioning, and exposing spiritual teacher Teal Swan's beliefs and practices. If you are suicidal, please follow this link for hotlines. © Teal Swan Exposed, 2017-2018. Read our “About” page for information on who we are, motivations, privacy and security, our content copyright policy, and more. 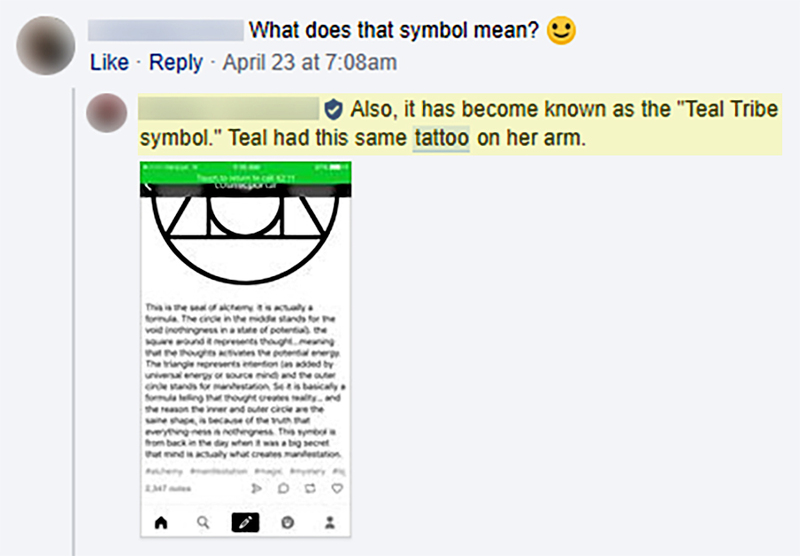 Teal has a prominent tattoo of an alchemical symbol on her upper left arm. 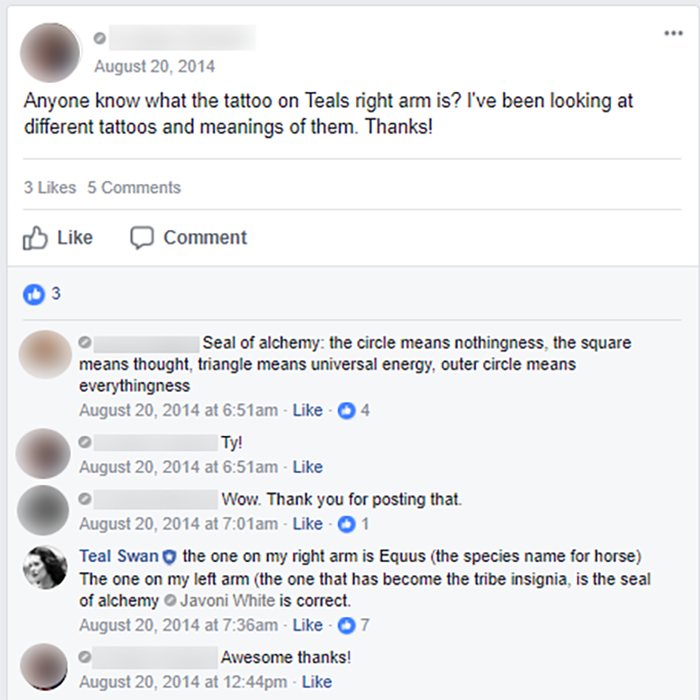 It has been observed that a number of Teal’s followers have exactly the same tattoo. 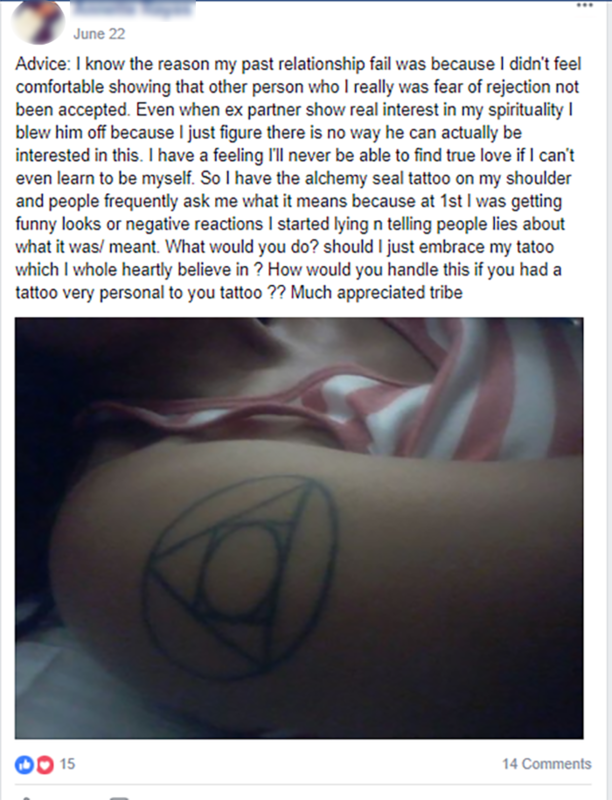 The followers who bear the copycat tattoo, tend to be those who are the most devoted to Teal and her “tribe”. They include members of her “intentional community”, her workshop volunteers and practitioners of her Completion Process. 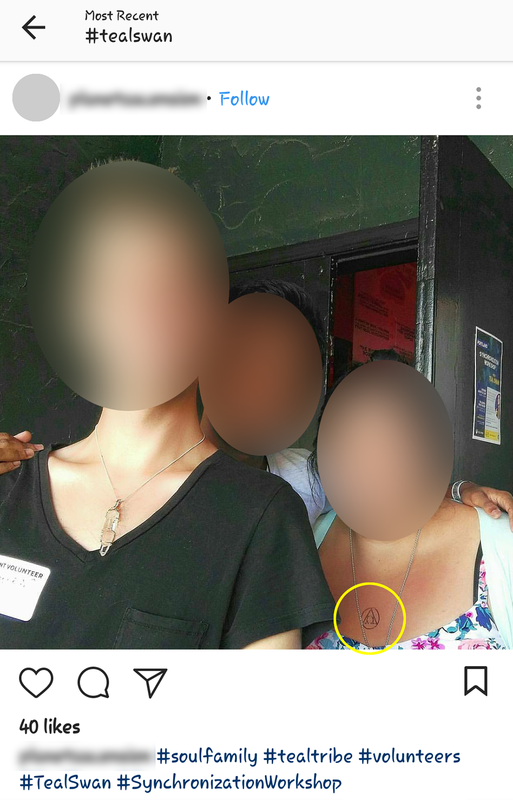 Faces and other identifying information has been obscured to protect identities. Teal with a small group of followers. 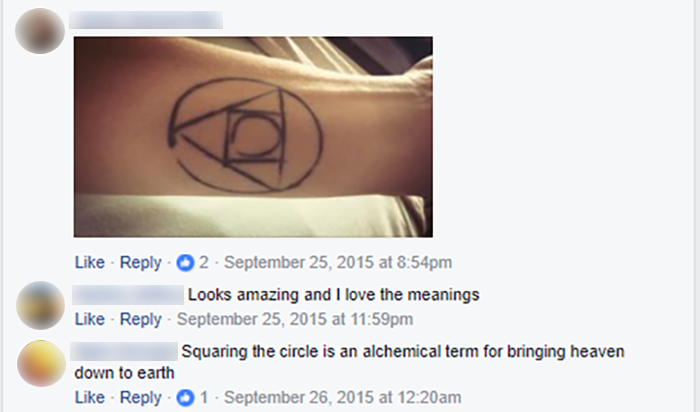 And there I stood, a teacher of alchemy on the world stage, with the seal of alchemy etched into my left arm. I have arrived at court finally. Screenshot obtained from Internet Archives. Teal has co-opted the original meaning of the symbol and repurposed it to symbolise herself and Teal Tribe. 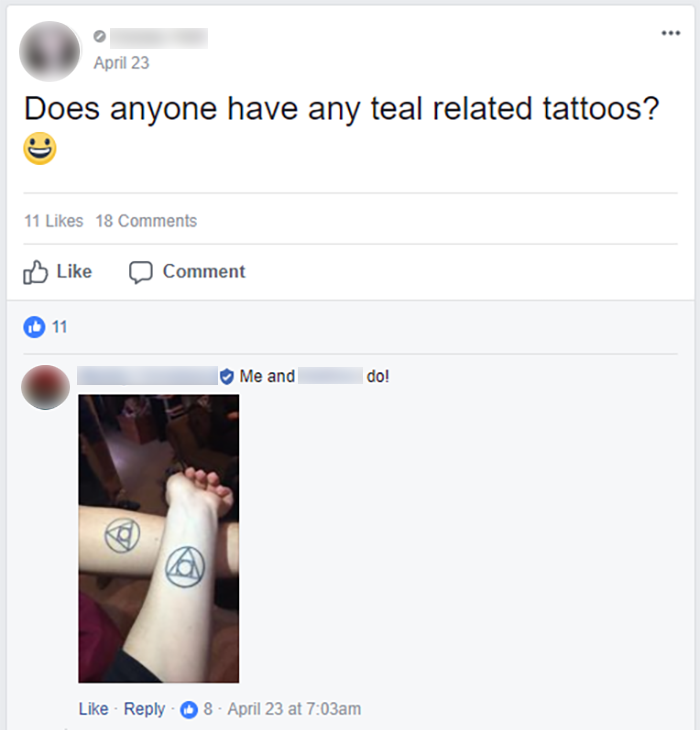 In fact, her most well-known tattoo has become the emblem of Teal Tribe. 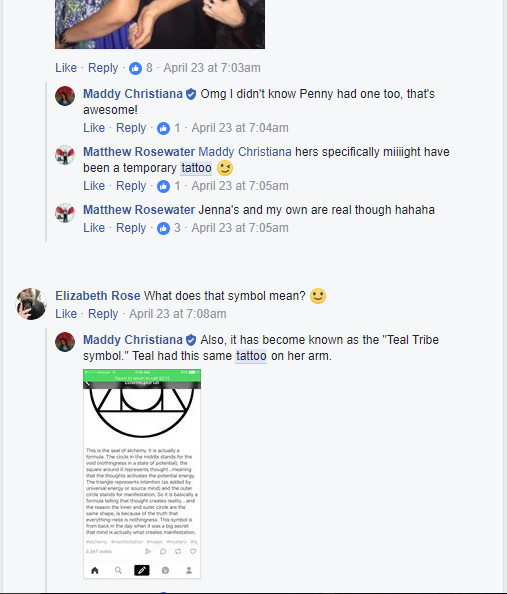 Or as a Facebook admin of Teal Tribe put it- “it has become known as the “Teal Tribe Symbol”. The group itself, of course, is named after Teal. Many of her followers refer to themselves as “Tealers” or “Tribers”. For many followers, the symbol is synonymous with Teal, not only because it is frequently visible in her photos, but because she uses it as part of her product branding. 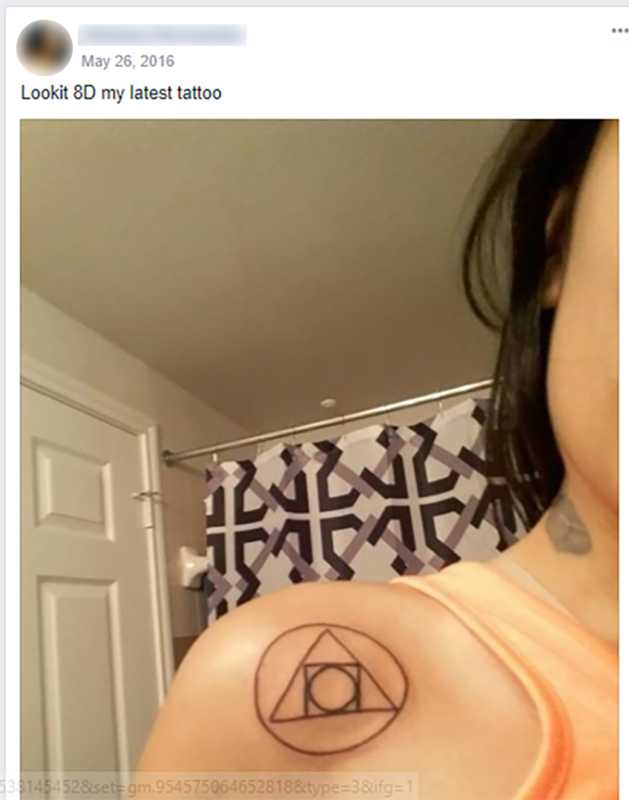 Her tattoo symbol is featured on several of her products. 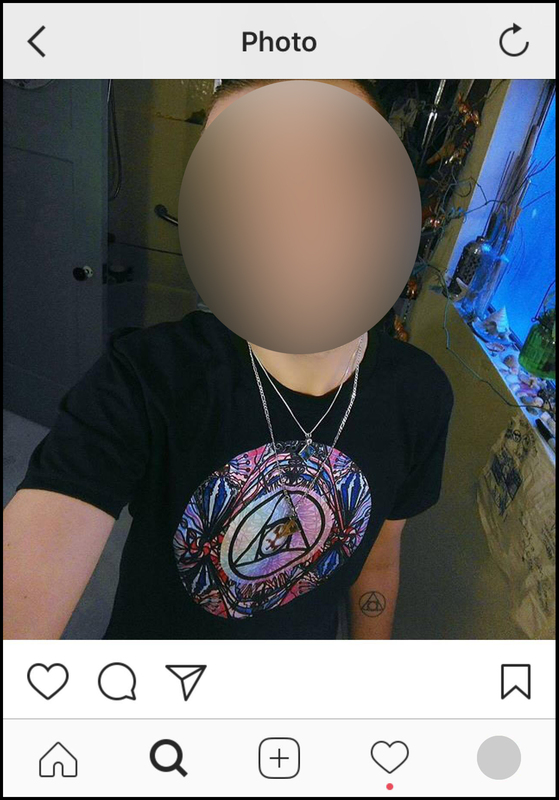 She sells a “Teal Tribe” T-shirt on her website. 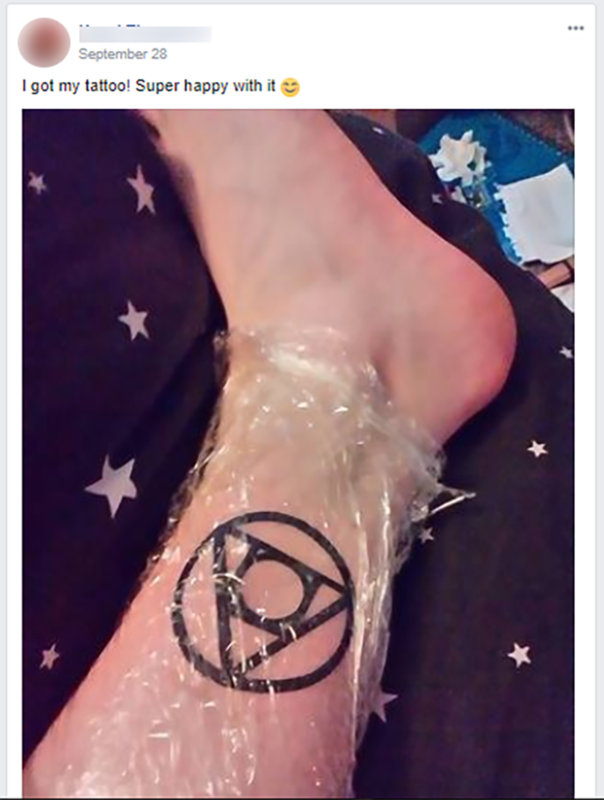 Her tattoo symbol is featured in the centre, set against a teal-coloured background with the words “Teal Tribe” beneath it in teal-coloured lettering. 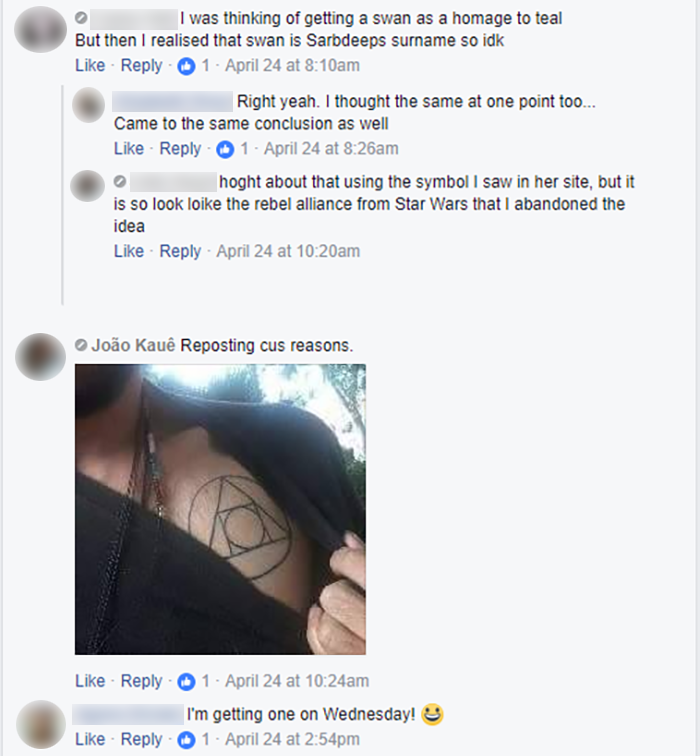 The symbol is also on the reverse side of her frequency tarot cards. Followers hold up a banner of the symbol at a Teal Tribe gathering. 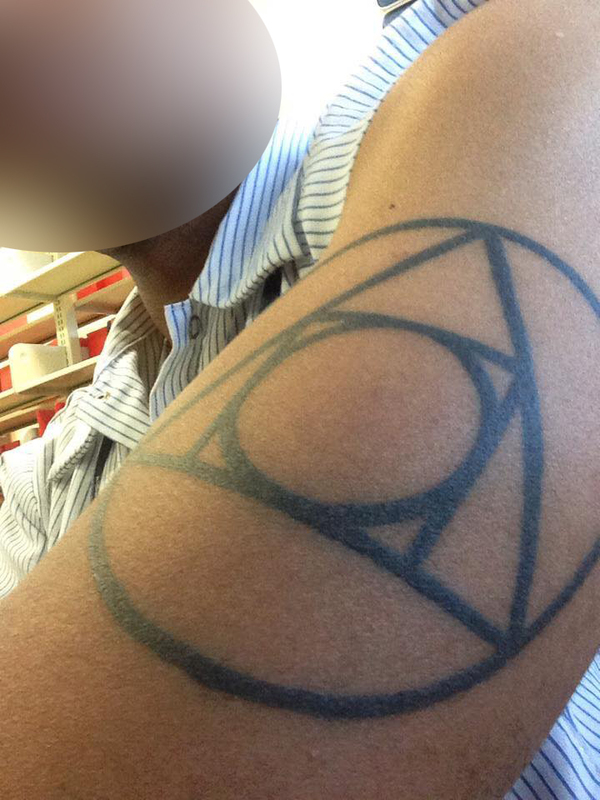 I think it would be awesome if a whole bunch of us had this tattoo. 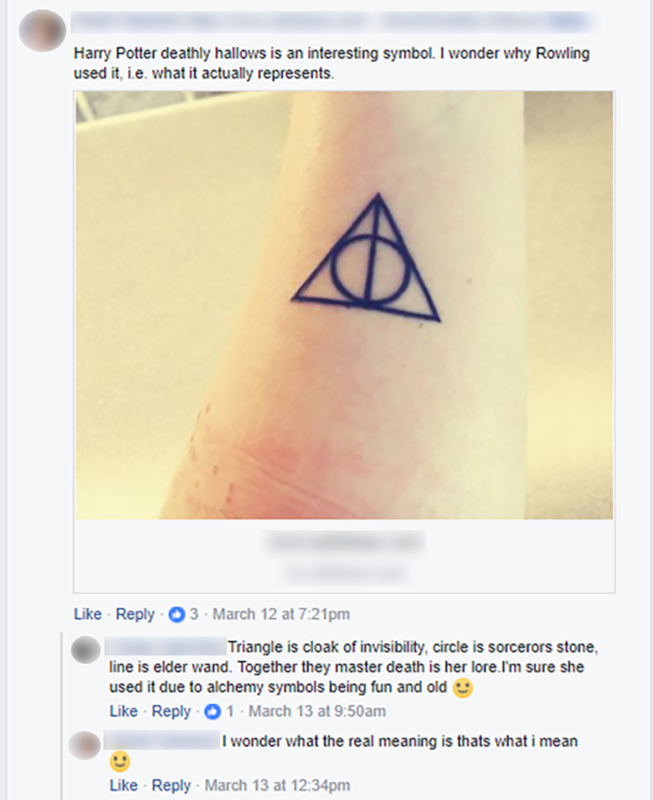 It could be a symbol of the bond that unites us. 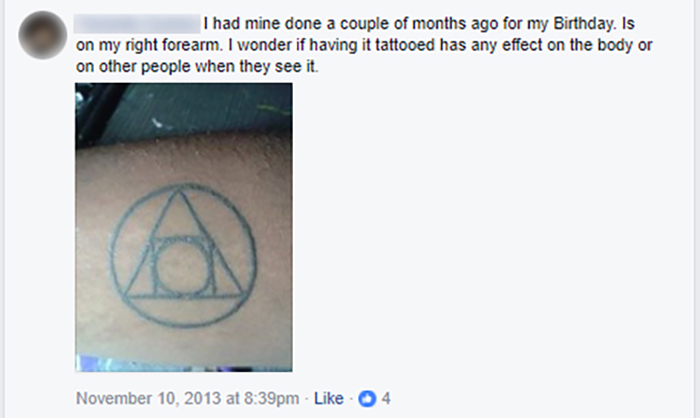 The alchemical tattoos are not the only tattoos that directly reference Teal in some way. 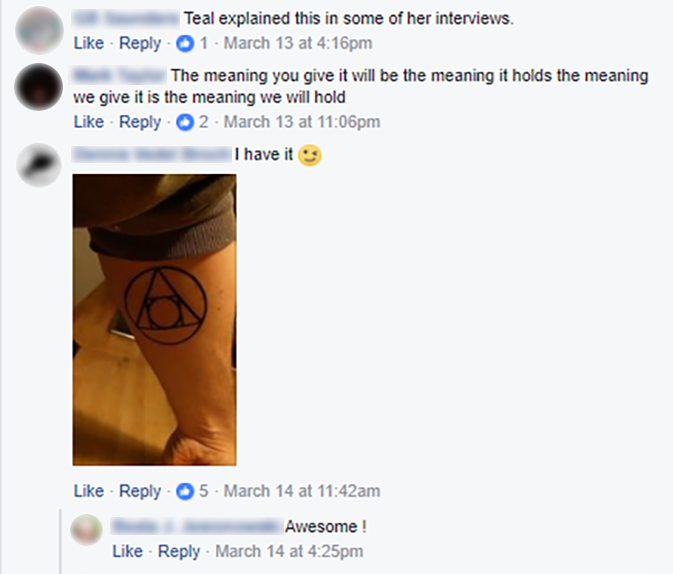 Teal’s close confidant and ‘intentional community’ member, Graciela, not only has the alchemical tattoo (shown in the first set of photos above), she also has a tattoo of one of Teal’s quotes. 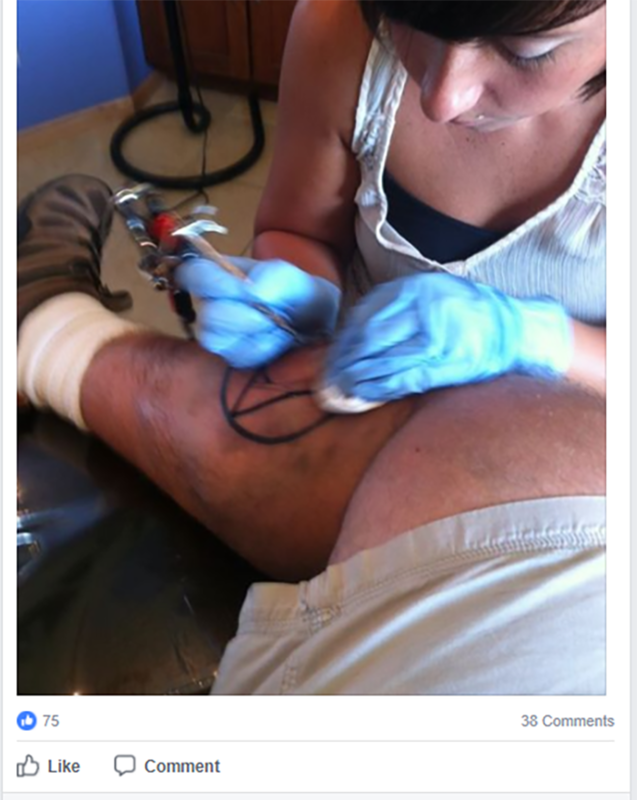 Her tattoo (pictured below) unfortunately contains Teal’s original spelling mistake. It reads: “you were not born to use this life to refine or improve yourself. you were born to use this life as a canvass [sic] to paint yourself across”. 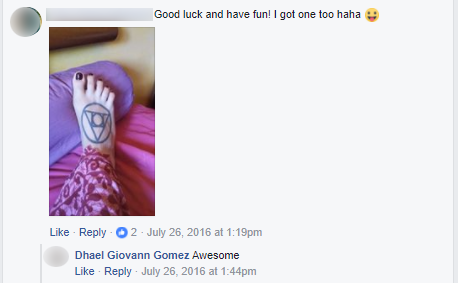 Teal was seemingly delighted when Graciela got this tattoo. She posted a photo of it on Instagram with the caption, “Graciela got a new tattoo of my quote in my handwriting . . . Made my day”. 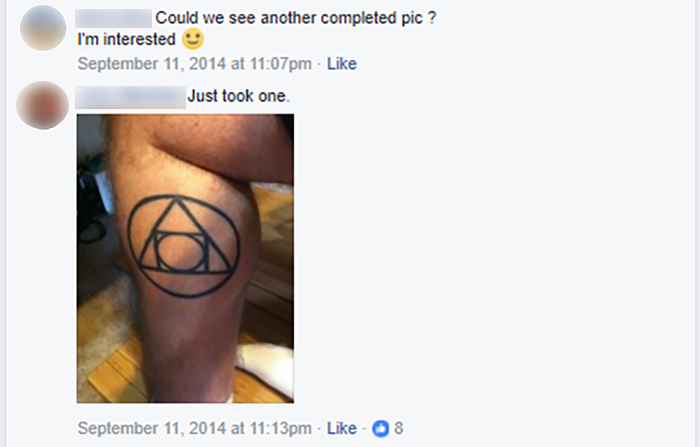 Another follower of Teal’s posted on Facebook a photo of a Teal-inspired tattoo. The tattoo depicts Teal’s black swan logo and beneath it are a list of names. “Teal Swan” is at the top, followed by the name of Teal’s husband, “Ale Gicqueau”. However, Teal posted a photograph of Ale “trying out” one of her frequency designs on his back for a possible future tattoo. It remains to be seen if he will go ahead with it.
. . . the last thing I wanted to do in the world was to have burn marks on my forehead. I started to complain, revolt and state clearly that I did not want to do it. Teal started to experience genuine sadness and she shed a couple of tears . . . I accepted reluctantly to have Kambo administered to my forehead as I reminded myself that my relationship with her is so much more important than looking good. Spiritual leader or cult leader? 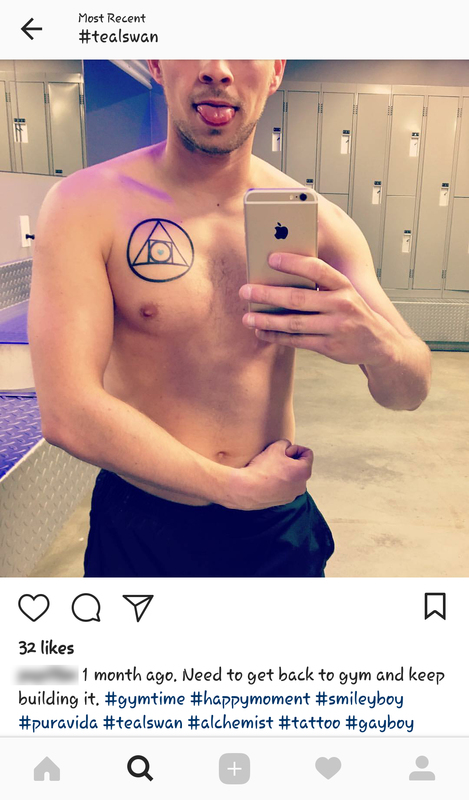 Why would a “spiritual leader” encourage their followers to copy their tattoo? It suggests an extreme egotism that is not befitting of a genuine spiritual leader. 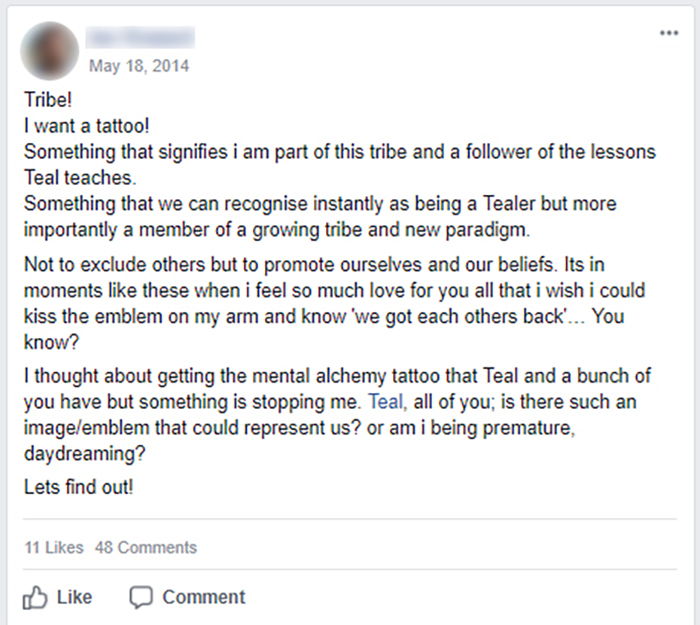 Teal tells her followers that the identical tattoos are a “symbol of the bond that unites [Teal Tribe]”. 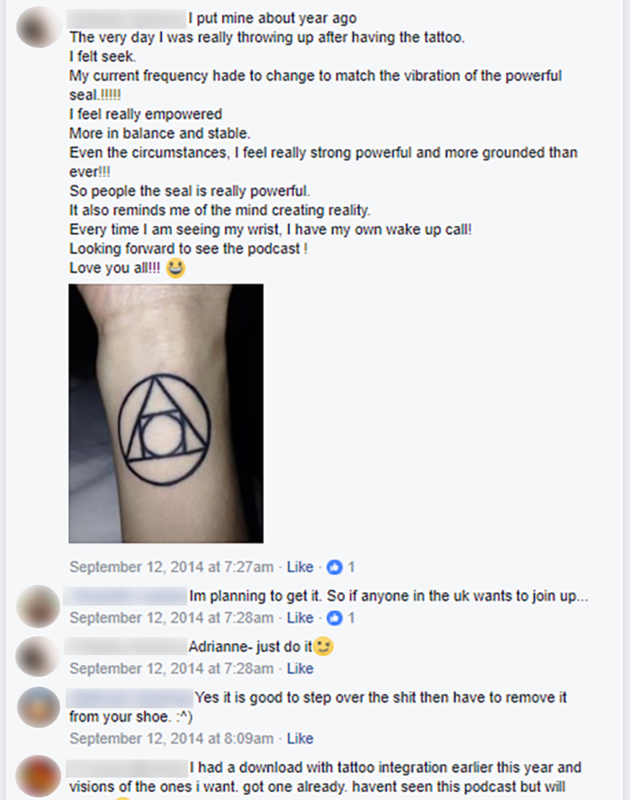 If the bond between Teal and Teal Tribe is genuine, then why is there a need for followers to “prove it” by getting a permanent physical marking? 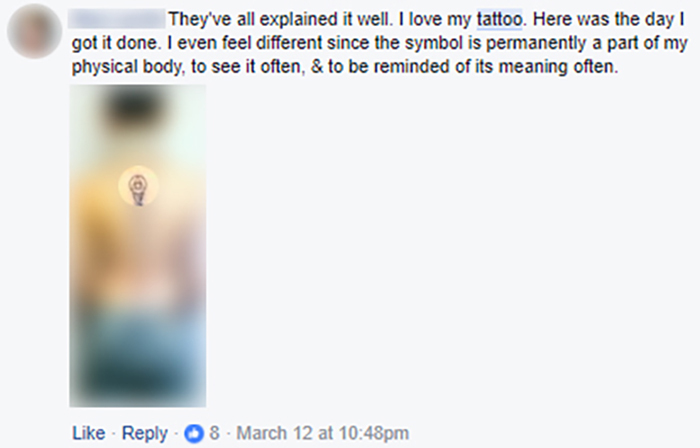 Are the tattoos really a symbol of belonging, or are they a symbol of ownership? Is Teal covertly trying to “brand” her followers? 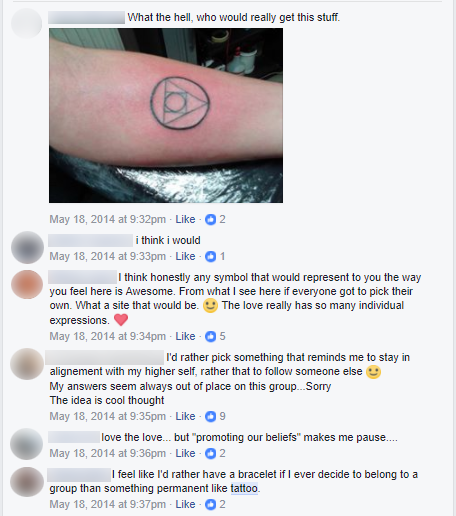 The symbol was not a mutually agreed upon image that Teal Tribe picked to represent their group and to have as their tattoos design. 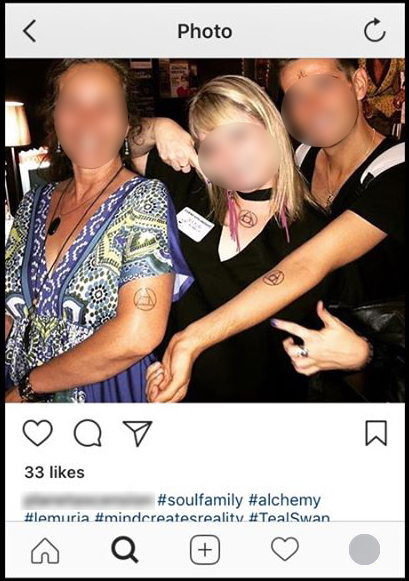 The emblem of their group, and their tattoos are a replica of their leader’s tattoo – the same symbol that Teal uses to brand her products. 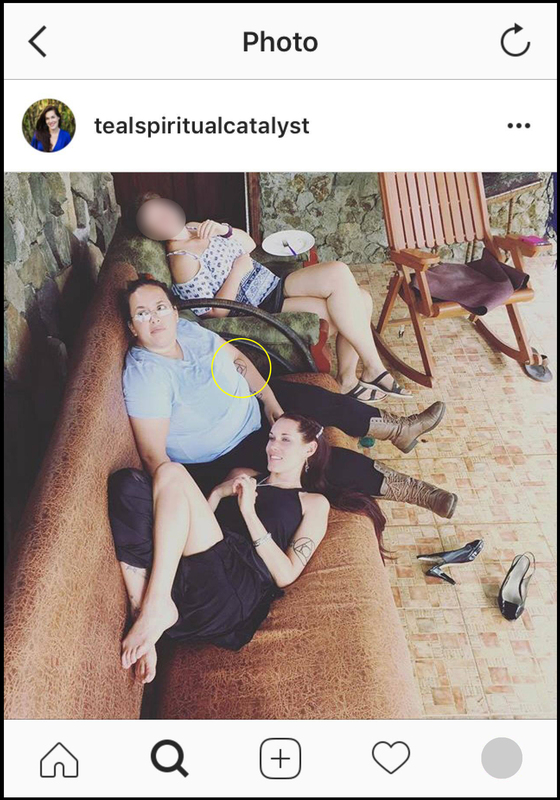 It’s all centered around Teal as a person, not her teachings. This is yet another cult warning sign. 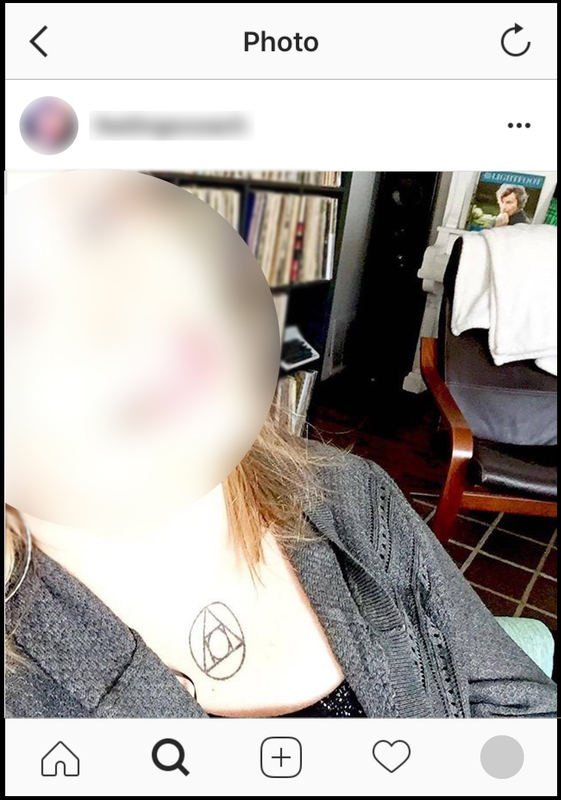 Teal covertly encourages idolatry from her followers. 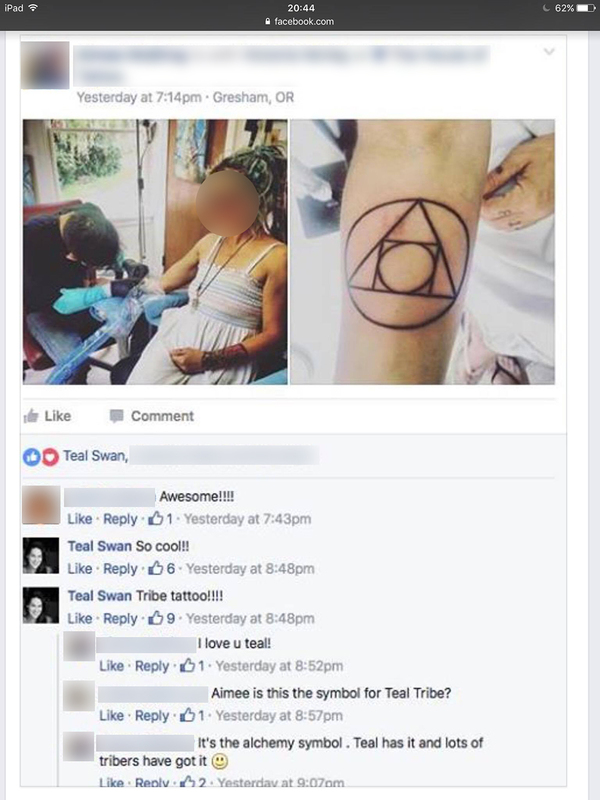 Teal could just be feeding her ego, at the expense of her followers, some of whom, will no doubt come to regret getting their “Teal Tribe symbol” tattoo. 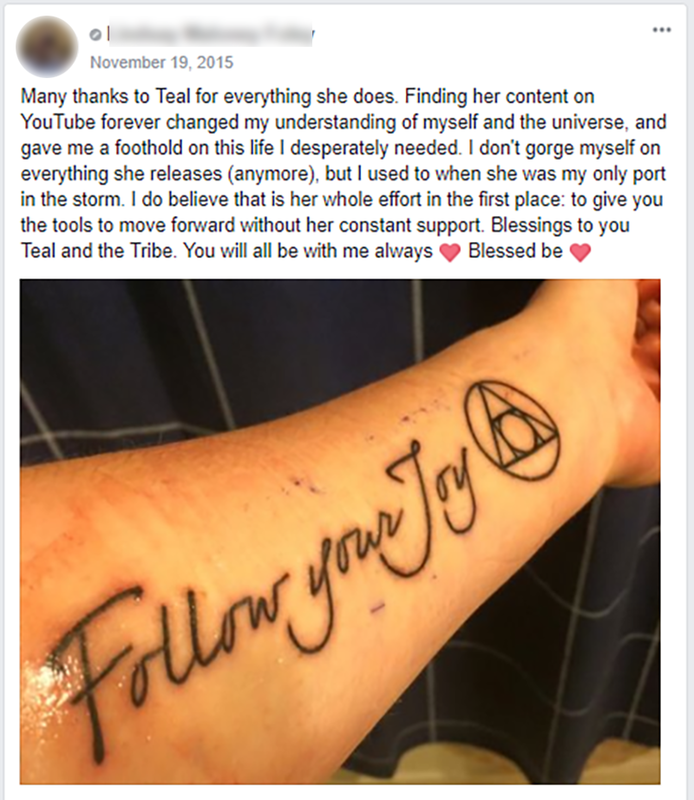 Could it be that Teal is encouraging her followers to get the tattoo as a way of keeping them devoted members of Teal Tribe? 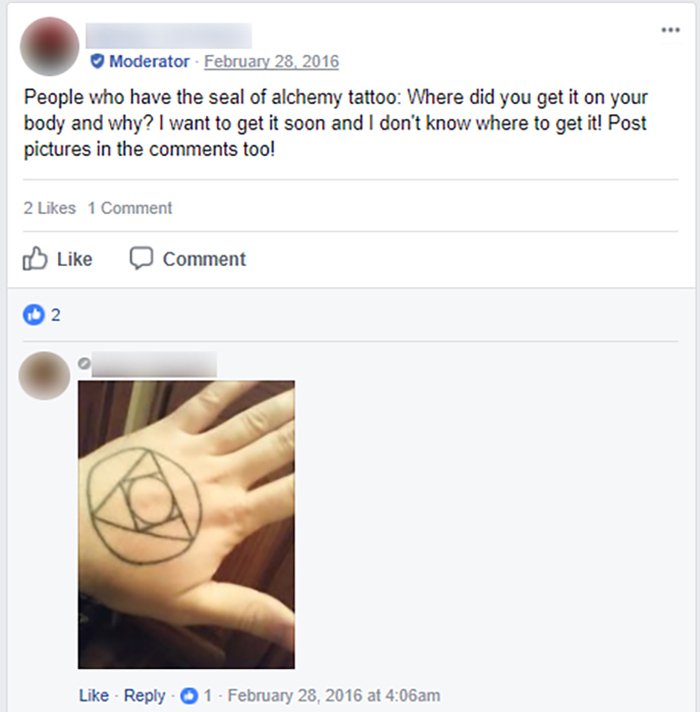 Permanent marking, permanent member? Is it an attempt to keep her followers “chained” to her? 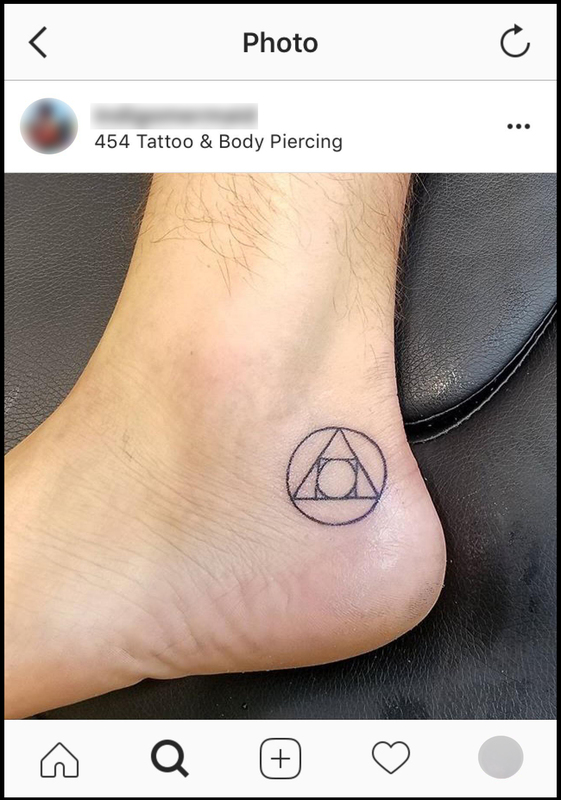 If a follower has gone as far as to get the tattoo, they may feel impelled to stay committed to Teal and the group, even if doubts arise, or they want to move on. It is likely that Teal is well aware of this. If a spiritual leader must go to these manipulative lengths to keep their followers, then it is likely because they know they can’t retain followers on merit. A genuine spiritual teacher, liberates. A cult leader, enslaves. I have spent over $1,500.00 USD on a Completion process “certification ” bought her books and followed her on social media since 2014. I have met her personally and had an at length conversation with Ale , her husband in person about a deep private matter. I’ve also had a very private conversation with her manager. We talked about very personal situations. So I’m not someone who is paroting words from someone else’s mouth or writings of hate . This is from my own personal experience. I would describe Teal as being “soul-less”. She is still cutting herself, there’s nothing healed about her . She uses guilt very cleverly . She said this to us at one of her trainings, “ I can’t believe people when they say they love me because I’ve been betrayed so much by people who said they loved me , then they turned around and became haters . “ we all sighed and felt so sorry for her. She refers to anyone who calls her out as a “hater” so if you disagree with her , you’re a “hater” that’s the subversive language she uses to manipulate. I could go on and on . I have the recordings of her saying these things , contract I signed and proof of having had attended her “training”. She definitely has several personalities but mostly she feels like an empty vessel. She has no warmth , I hugged her a few times and I felt nothing , like I was hugging an object. Besides that point. I’ve got a lot to say about her . I could write a book. Her followers are mostly suicidal and/or very narcissistic just like her. I continued to follow because it was like a watching a bad movie that you couldn’t stop watching because you can’t beli how terrible it is. But I stopped following, I just can’t waste any more of my brain cells. I used to be a “Tealer” for a few years until I discovered on how much of a HACK and power hungry she is. Especially on how much she spiritually abuses her clients and followers with suicide. It made me angry and sick to my stomach. PEOPLE, don’t believe everything she says because her teachings are UNORIGINAL. She copied everything from ancient spiritual Scriptures to self help authors. Which is hypocritical because in one interview with “Positive Head Podcast”, she criticizes the self help industry and believes that she can solve personal problems better than they can. She has never and never will come up with her own material to help others. 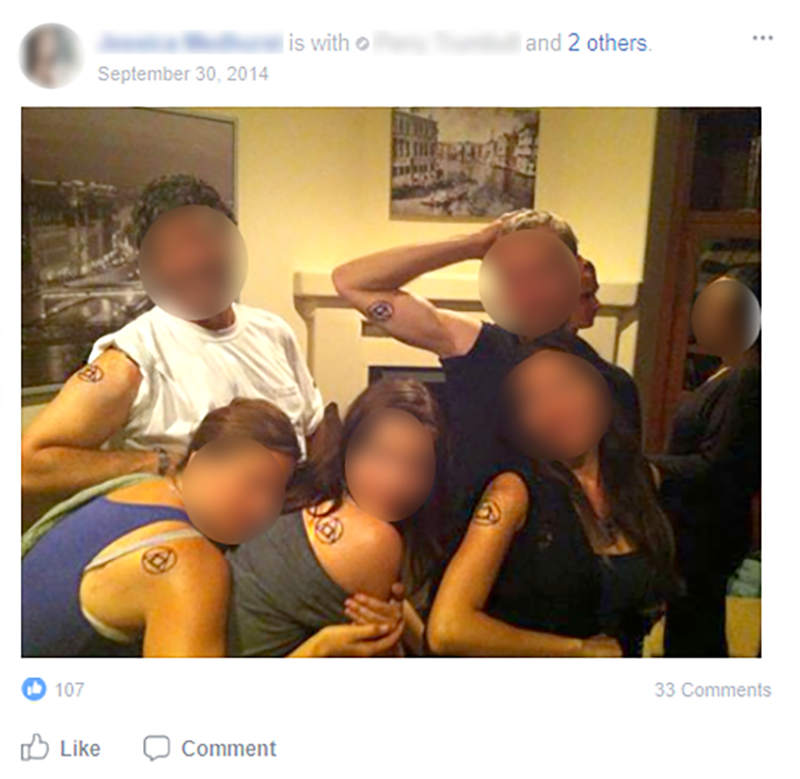 There is nothing wrong with using another person’s technique to help others, but there is everything wrong with plagiarizing those techniques and capitalizing them as their own. So yeah, my money is going towards the original problem solvers and not her. 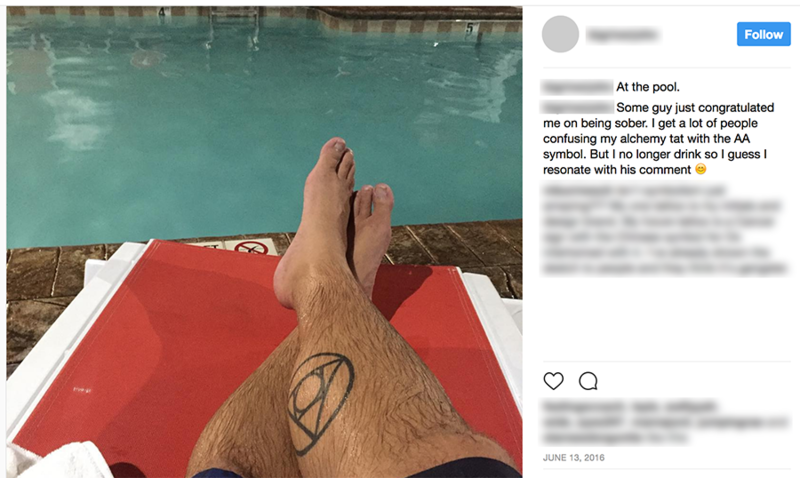 Next Next post: One of Teal Swan’s followers believe Teal “is THE creator”. Concerned yet?